Hayley offers private TRCB phone sessions for those who would like to experience the tremendous healing power of TRCB. You can have a private phone sessions from the comfort of your home, during a lunch break at work or in your car (not while driving of course!). The first phone appointment is 45 – 60 minutes and includes a detailed history intake as well as a TRCB treatment. This treatment is very powerful and assists in healing the body physically, mentally, emotionally and spiritually. The cost is $80.00 and payable in advance via our store. Hayley is an acupuncturist and healer with over 20 years of experience in the healing arts. 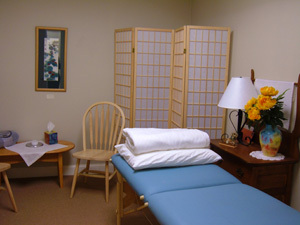 Hayley’s acupuncture session is a combination of acupuncture, energy healing and Shiatsu massage. The session is deeply healing and assists in bringing balance to the mind, body, and spirit. Hayley’s practice is located at 800 Main Street, Amherst, MA. For more information go to http://www.hayleymermelstein.com. You can also prepay for an acupuncture appointment in our store.